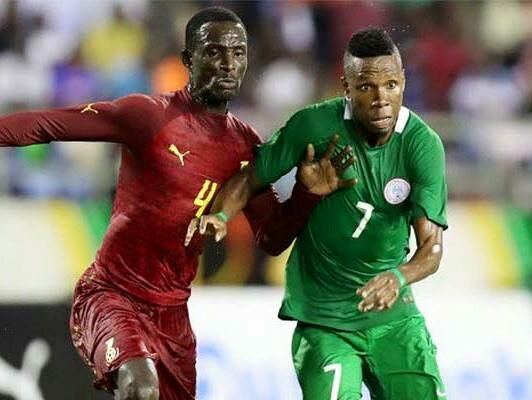 Ghana and Nigeria will battle for the right to be crowned 2017 WAFU Cup of Nations champions and a $100,000 prize when they meet in the final at Cape Coast Stadium on Sunday. Ghana, the hosts and defending WAFU champions, earned their spot in the final with a 2-0 win over Niger with Kwame Kizito and Stephen Safro scoring the goals for the Black Stars, who have looked strong contenders throughout the tournament. This will be their second final appearance, having beaten Senegal 3-1 back in 2013. Nigeria, meanwhile, edged Benin 1-0 in their semifinal. Rabiu Ali scored in the first half for the Super Eagles, who probably should have won the match by a more convincing margin. This will be Nigeria’s 3rd WAFU final appearance: they beat Senegal 2-0 in 2010 to win their first and only title, while their second showing was a 3-2 loss at the hands of Togo in 2011. Ghana and Nigeria have already met once in this WAFU tournament: the Super Eagles beat the Black Stars 2-0 in the teams’ final Group A match, though it must be noted that the home side had already guaranteed themselves top spot regardless of the result. Ghana coach Maxwell Konadu insists that his side is more than capable of claiming revenge against the Super Eagles when the teams meet again in the final. “We will be very prepared for Nigeria. They beat us last time so we have to come out strong to turn the table against them come Sunday,” he said at the post-match conference. “They are a very good side, but we have to fight very hard. “You know we are the defending champions, but that now belongs to history. Sunday will be a new chapter we have to open and we will do so by trying to beat Nigeria. “The last time (we met), we had issues as regards injuries, but I hope we have all the players fit on Sunday and we will come very, very strong against Nigeria. Ghana and Nigeria have met in 49 previous matches, according to FIFA statistics. The Black Stars have claimed 19 wins - compared to 11 for the Super eagles and 19 draws.